I just want to assure you, much to the disappointment of someone somewhere out there in the world, I am alive! And why haven’t I been posting? Good question, and the only answer I can give is that I am helping organize the Writing and Illustrating for Young Reader’s Conference this summer . . . and boy, has that taken loads of time! But I’ll do my best to keep posting regularly on my blog in the future. In other news, I just want to point out that I am a sellout . . . when it comes to dentists, at least. You see, I’ve been wanting to go visit the dentist for several months now. But I decided that I wouldn’t just choose a dentist. This special dentist had to win me over. And how would they do that, you might ask? By giving me a shiny new iPod, which is all mine JUST for visiting. And the ad arrived just yesterday promising shiny new iPods to all new patients, and today I now have an appointment. 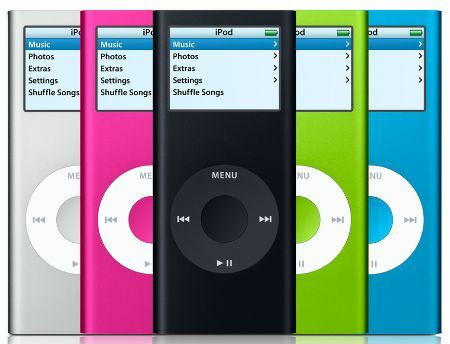 And in only a few weeks, I will have a shiny new iPod. Because I’m a sellout like that. I’m hoping I get the blue one. Posted byChersti Nieveen February 8, 2011 May 7, 2014 Posted init's me! I’d go to the dentist for an ipod. oh man. i’d be a total sell out, too! Yeah, I’d have to agree that the iPod definitely helps my anxiety over the whole trying out a new dentist thing!